With monotonous predictability the centenary of the Russian revolution has led to an outpouring of bile - not aimed in the main at the 'acceptable' February revolution - but at October. A cacophony of slander is attempting to drown out the real history of the October revolution. This is no accident. Worldwide the capitalists are losing their ability to rule. Events are increasingly spiralling out of their control as the pent-up anger of the masses begins to express itself. When Mark Carney, governor of the Bank of England, starts to warn about coming revolts because the "frustrated and frightened" are "becoming disillusioned with capitalism," it shows that the most thinking sections of the ruling class are beginning to fear revolution. October 1917, when the working class, led by the Bolshevik Party, successfully took power and began to establish real workers' democracy, is the greatest event in human history to date. For the capitalist class it is vital that the lessons of it are buried. They scored an ideological victory when Stalinism collapsed a quarter of a century ago. American philosopher Francis Fukuyama put it bluntly in 1989: "What we are witnessing is not just the end of the Cold War [the post-1945 conflict between US imperialism and the Soviet Union] but the end of history as such: that is, the end point of man's ideological evolution and the universalism of Western liberal democracy." Now, decades later - amid war, economic crisis, and rising populist movements - Fukuyama has long since changed his tune. At the time, however, it was seriously argued, and not just by him, that capitalism would guarantee a future of ever increasing democracy, stability and wealth for the majority. Even then the capitalist commentators felt the need to bury the real history of the Russian revolution, endlessly peddling the lie that its degeneration into brutal dictatorship was inevitable. Today, however, when capitalism so clearly means austerity for the majority, there is a growing interest in socialist ideas, and a growing fear among the capitalist elite that their rule could once again be threatened. In the last 100 years there have been many opportunities for the working class to follow the path of the Russian workers in 1917. Contrary to the ideologues of capitalism, these have not only taken place in economically undeveloped societies. In the revolutionary wave that swept Europe in the aftermath of 1917, it was the mighty German working class that had the greatest opportunity to take power. In 1968, in France, there was a general strike of ten million workers, the greatest in history. They occupied the factories and moved in the direction of socialism but were blocked by the leaders of their own organisations. In the Portuguese revolution of 1974, the capitalist state disintegrated. In these and other cases, revolutionary movements developed in economically 'advanced' capitalist countries. Why did the working class succeed in taking the opportunity which existed in Russia in October 1917, but not the many others that followed it? The biggest difference was the existence of a Bolshevik-type party. Revolution cannot be called into being by any party, but unfolds when the masses can find no other way out and so burst onto the scene of history. This happened in Russia in February 1917. Tsarism was overthrown by a heroic movement of the workers and soldiers. However, they were not yet conscious of their own power and so allowed the capitalist class to step into the political vacuum. The revolution then developed through nine months of advance and retreat, during which the working class tested all parties. The 'July Days' prepared the ground for the counterrevolution's offensive, with its brutal hounding of the Bolsheviks in the 'month of the great slander'. The counterrevolution came when the tsarist General Kornilov attempted, under the cover of the Kerensky government coalition, to drown the revolution in blood with a march on Petrograd. He was defeated by the most effective 'united front' in history to date. A united front is when different workers' organisations - reformist and revolutionary - take part in a common struggle, but with full independence and the right to criticise. Leon Trotsky, co-leader of the revoluton with Lenin, summed it up as "march separately, strike together". In this instance Kerensky had collaborated with Kornilov's plans when he imagined that the revolting workers would be put down - but his provisional government, which had come to power on their backs, would remain in place. But to secure its rule tsarism required a return to brutal dictatorship including the crushing of the provisional government. The government was suspended in mid-air as the masses themselves smashed Kornilov's coup, under the leadership of the Bolsheviks, some of whom, including Trotsky, were released from jail to defend Petrograd. This was a key moment in the growing and increasingly implacable support of the masses for the Bolshevik Party. Testing them in action they were discovering them to be the only party that genuinely represented their interests. One soldier in the Moscow garrison said: "After the attempt of Kornilov, all the troops acquired the Bolshevik colour... All were struck by the way in which the statement [of the Bolsheviks] came true... that General Kornilov would soon be at the gates of Petrograd." The Bolsheviks grew massively in August and September. The masses "drink up the Bolshevik slogans as naturally as they breathe air". The Petrograd garrison was 90% in favour of the Bolsheviks, in some detachments over 95%. In the factory and shop committees, the same process was underway. At the beginning of the revolution in February, the Bolsheviks were a tiny minority. At that stage, Lenin argued: "We must base ourselves only upon the consciousness of the masses. Even if it is necessary to remain in a minority, so be it... We will carry on the work of criticism in order to free the masses from deceit. Our line will prove right. All the oppressed will come to us. They have no other way out." This was what happened following the defeat of Kornilov. The growing support of the working class and soldiers for the Bolsheviks was, in essence, because they were the only party which could deliver 'peace, bread and land,' the demands of the revolution. All the others, unwilling to break with capitalism, had no possibility of offering more than warm words. The working class discovered this in the course of the nine months of the revolution. Contrary to the belief of some today who rightly want to see a revolution and imagine that this will be achieved by appearing as 'radical' as possible at every stage, the Bolsheviks prioritised patiently explaining their ideas, confident that they would win the working class on the basis of experience. Lenin's pamphlet 'The Impending Catastrophe and How to Combat It,' published on the eve of the revolution in October 1917, takes exactly that approach. It patiently explains that the only way out of the nightmare facing Russia is a series of measures: nationalisation of the banks, workers' control, opening company books to inspections of workers' and peasants' committees, the abolition of business secrets and others - and that the working class is the only force capable of implementing this programme. Revolutions are always a process, rather than a single act, developing over months or more commonly years. Events in the Russian revolution were exceptionally compressed because of the urgency of ending the horror of World War One. While the tempo was exceptional, the same processes take place in all revolutions. All ultimately arrive at decisive moments when power is posed. If the oppressed masses do not seize the opportunity then a period of confusion and demoralisation inevitably occurs which reactionary forces take advantage of to crush the revolution. There is no doubt that, had the working class - led by the Bolsheviks - not taken the power in 1917, there would have been a new Kornilov and the imposition of a brutal dictatorship, not the idyllic capitalist democracy which is now imagined by establishment historians. It was clear in the autumn of 1917 that the working class, concentrated in massive factories, could no longer live with things as they were. Not only the working class; 77% of the peasant districts were in revolt as the demands for land became deafening. The existence of such conditions does not, however, automatically lead to the working class taking power. Many times, before and since, the opportunity has been missed as a result of inadequate leadership. A revolutionary period is one where events are extremely concentrated. As Friedrich Engels pointed out, there can be times in history where 20 years is like one day, and then there can be one day where the events of 20 years are concentrated. Driven into hiding in Finland by the murder threats of the July days, Lenin was writing to the Bolsheviks urging them to lead the revolution because the fate of Russia could be decided in two or three days. In fact, the possibility of the working class and poor peasantry taking power lasted longer than this - but it would not have existed for many more weeks if the revolution had not taken place successfully. Immediately before the October revolution, workers in Petrograd and other cities were feeling frustrated, starting to fear that maybe the Bolsheviks were after all the same as the others and would dither and refuse to take power. Fearful of missing the opportunity, and of the degeneration of the soviets under Menshevik and 'Social Revolutionary' leadership, Lenin urged the Bolshevik Party to take power, basing itself on the factory committees, which at that time more closely than the soviets reflected the mood of the working class. Trotsky, however, on the ground in Petrograd, was more aware of the huge changes being wrought in the soviets under the impact of events. The key Petrograd Soviet had swung dramatically in favour of the Bolsheviks, electing Trotsky as its chair in September. Kerensky's government was preparing to move the most revolutionary battalions of soldiers out of Petrograd, obviously in preparation for a military attempt to quell 'Bolshevik' Petrograd. In response to this the Petrograd Soviet organised a Military Revolutionary Committee to defend the gains of the revolution. This body carried through the October insurrection. The revolution was carried out on the basis of the most democratic organisations, the soviets. It established a highly democratic workers' state. This was only possible, however, because of the existence of the 'subjective factor' - the Bolshevik Party. Today, understandably, given the record of the Stalinist dictatorships, and the savage attacks on the working class implemented by all the establishment parties, there is widespread scepticism towards parties and political organisations. Nonetheless, as the two mass surges to elect and re-elect Jeremy Corbyn as leader of the Labour Party show, this can be overcome when workers and young people see a real possibility of change. The Russian revolution demonstrated that a vital prerequisite to a successful revolution is a party of a completely different type - a mass democratic party, with a far-sighted revolutionary leadership, based on and democratically controlled by the politically aware workers. The revolution brought into being a state that was far more democratic than the most 'democratic' capitalist country. Lenin drew the contrast as follows: "The Soviet government is the first in the world (or strictly speaking, the second, because the Paris Commune  began to do the same thing) to enlist the people, specifically the exploited people, in the work of administration. "The working people are barred from participation in bourgeois [capitalist] parliaments (they never decide important questions under bourgeois democracy, which are decided by the stock exchange and the banks) by thousands of obstacles, and the workers know and feel, see and realise perfectly well that the bourgeois parliaments are institutions alien to them, instruments for the oppression of the workers by the bourgeoisie, institutions of a hostile class, of the exploiting minority". This young, democratic workers' state achieved an enormous amount. It degenerated, not because of any inherent weakness in Marxism, but because of its isolation. From the beginning the Bolsheviks had seen the Russian revolution as the first step in a European and world revolution. They knew that socialism could never be achieved in one country, particularly one as economically poor and backward as Russia. There were revolutions and mass upheavals including in Germany in 1918, and Hungary in 1919, which, if they had possessed a leadership like the Bolsheviks, would have completely transformed the situation in Europe and the world, and therefore the history of the twentieth century. Instead the young workers' state was left alone faced with civil war, as the dispossessed capitalists and landlords collaborated with 21 armies of imperialism to try and crush the revolution. They failed to do so above all because of the huge international workers' solidarity with the Soviet Union. Today, more than a quarter of a century after the Soviet Union - which had degenerated into a brutal dictatorship - finally collapsed, there are many lessons to be learnt from the mighty October revolution. Once again we are seeing the working class begin to look for an alternative to the rotten capitalist system. We've seen glimpses of its power - such as in the Arab revolutions of 2011 which overthrew four brutal dictatorships. 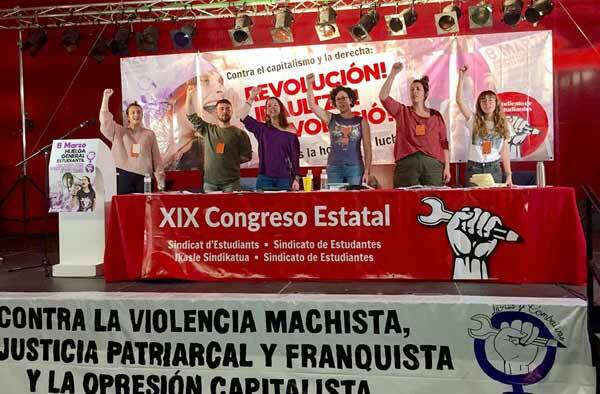 In the defeat of this first new wave of revolutions we also see that the need to strive towards building mass revolutionary parties worldwide, linking together in an international, is crucial to the struggle for socialism in the 21st century. 1905 revolution - The 'dress rehearsal' for 1917. 1912 The Bolsheviks became a separate revolutionary party in contradistinction to the reformist Mensheviks. 1914 World War One. Inter-imperialist rivalries spill over into armed military conflict in Europe. Tsarist Russia links up with British and French imperialism and against German imperialism and its allies. Mass slaughter of troops and widespread suffering of civilians. 23 February 1917 On International Women's Day (8 March in the Gregorian calendar), low-paid women textile workers take to the streets of Petrograd demanding bread - later joined by other factory workers. Spontaneously, the February revolution begins. 27-28 Troops mutiny against the tsar. Petrograd and Moscow soviets of workers' and soldiers' deputies formed. 3 March Tsar Nicholas II abdicates. The Provisional Government is inaugurated headed by Prince Lvov. 5 The Bolsheviks' paper, Pravda (Truth), is published in Russia for the first time since it was banned in July 1914. 3 April Lenin, Zinoviev and other Bolsheviks arrive from exile at Finland Station, Petrograd, to a huge welcome. Lenin shocks old guard Bolshevik leadership by putting forward his 'April Theses' denouncing the capitalist Provisional Government and calling for a workers-led socialist revolution. Initially in a minority, Lenin wins round Bolshevik party. 24-29 An all-Russia Bolshevik Party conference overwhelmingly approves the transfer of power to the soviets. 17 May Trotsky returns to Russia after being imprisoned by British government. In agreement with Lenin, he campaigns to win over the Mezhraiontsy (the Inter-District Organisation of which Trotsky is a leader) to join the Bolsheviks. 3 June The first All-Russia Congress of Soviets of Workers' and Soldiers' Deputies begins in Petrograd - dominated by the Social Revolutionaries (SRs) and Mensheviks who support the Provisional Government, with the Bolsheviks third strongest. 18 Attempt by the Mensheviks and SRs to turn the masses against Bolsheviks in a demo backfires. Up to 500,000 march in Petrograd demanding "all power to the soviets!" and "down with the (war) offensive!" 2 July The Kadets (Constitutional Democrats, the main capitalist party) withdraw from the Provisional government adding to the political instability. 3-5 The July Days. Soldiers, sailors and workers in Petrograd intend to stage an armed demonstration at the failure of the provisional government to deliver bread, peace and land - calling on the Petrograd Soviet to take power. Their demands, however, are in advance of the rest of Russia. The Bolsheviks and Mezhraiontsy meet to discuss the fraught situation: whether to try to get the protest called off, or to lead it to minimise the potential long-term damage to the movement. In consultation with workers and soldiers, the latter course of action is agreed. 4 July 500,000 demonstrate in Petrograd. The government launches a brutal crackdown, with 400 casualties in the capital. The printing presses of the Bolshevik paper Pravda are destroyed, the Bolshevik HQ seized and Lenin forced into hiding. Lenin, Zinoviev and Alexandra Kollontai, among others, are indicted for state treason. The same laws are used to arrest Trotsky on 23 July. 24 Kerensky, now prime minister and war minister, forms a new coalition. 26 July to 3 August The 6th congress of the Bolshevik party takes place. It agrees to fuse with the Mezhraiontsy. 27 Reactionary general Kornilov moves troops near to Petrograd in an attempted coup, aided by British army personnel and vehicles. 27-30 Under the guidance of the Bolsheviks - even though they are in a minority - the Military Revolutionary Committee in Petrograd organises the defence of factories and workers' districts. 40,000 'Red Guards' are recruited. Rail workers rip up track or re-route Kornilov's troop trains. Garrisons mutiny at Vyborg and Kronstadt. Kornilov is routed. 31 The Petrograd Soviet votes for the transfer of power to the working class by an overwhelming majority. 4 September Trotsky is released from Kresty prison. 11 The Moscow Soviet unanimously condemns the state repression of the Bolsheviks. The Black Sea Fleet adopts the slogan "power to the soviets," as do 23 regiments of the 12th Army. 24 Kerensky forms the third coalition government, including ten Menshevik and SR ministers. 25 Trotsky elected chair of the Petrograd Soviet. 10 October The Bolshevik Central Committee agrees to prepare for armed insurrection to overthrow capitalist regime and transfer power to soviets. Zinoviev and Kamenev vote against and later publicly leak plans. Soviets of workers, soldiers and sailors throughout Russia rally to transfer of power. Key military garrisons back Bolsheviks. 24-26 October. Trotsky and the Military Revolutionary Committee organise taking key sites in Petrograd and capture the Winter Palace, the seat of Kerensky's regime. No bloodshed, indicating overwhelming support for revolution. 25 October. Overwhelming majority of delegates to second All-Russia Congress of Soviets endorses transfer of power to the soviets. 26 October. Soviet government is inaugurated with Lenin chair of people's commissars. Fighting in Moscow as counter-revolutionaries are defeated. Soviet power begins to be established throughout Russia.